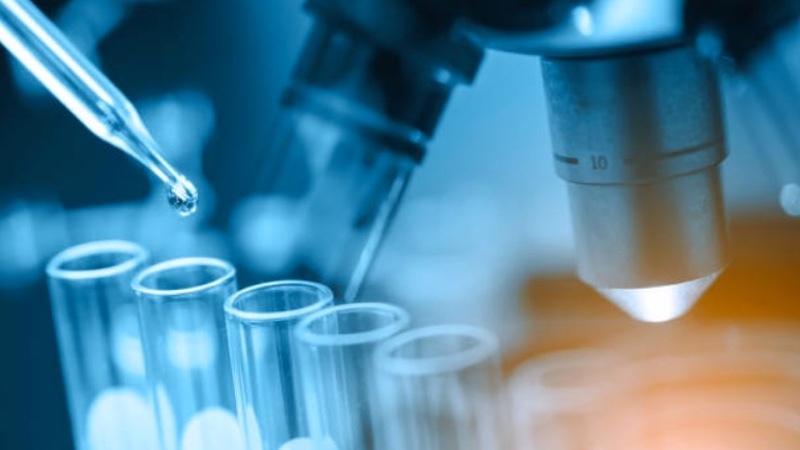 Owing to the complexity of their syntheses, the isotopic labelling of novel active pharmaceutical ingredients (APIs) is becoming more challenging. The strategy used to design the synthesis of an isotopic analogue depends on several factors. In particular, having prior knowledge of the API helps to ensure that a metabolically stable labelling position can be selected. All of this is reliant on the expertise of the isotope chemist who will then decide on the selection of appropriately labelled starting materials. It is ideal in any labelled synthesis for the incorporation of the isotopic label to be performed at the last step, or as near to the end of the synthesis as is feasible. From a client’s point of view, this has the potential to accelerate the synthesis and make it more cost-effective. The isotope chemistry team at Almac always strives to suggest the most practical synthetic route to the labelled API; and, to further this goal, we can call upon the expert knowledge of our Biocatalysis Group. The application of biocatalytic tools can allow the introduction of multifaceted functionality in a single step and significantly reduce the cost of labelled biomolecules and chiral compounds. Furthermore, an Almac isotope chemist has the advantage of being able to interact with both the Physical Sciences and Peptide Protein teams on issues such as polymorphism, peptide synthesis, etc. Carbon-14 is a low-energy beta emitter with a half-life of approximately 5700 years and requires limited shielding. These characteristics make it the radiolabel of choice to obtain reliable quantitative mass balance data and tissue distribution studies in humans. These data help to determine the tissue half-life, clearance rates from the human body and the potential associated risks of toxicity after prolonged exposure. 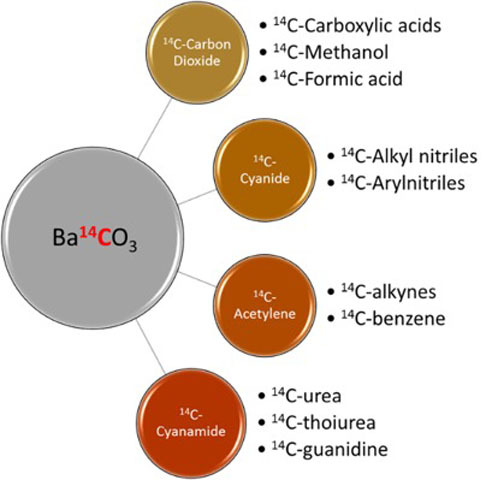 The primary source of the carbon-14 is barium [14C]-carbonate, which can be converted to [14C]-carbon dioxide to generate a variety of carbon-14 labelled starting materials (Figure 1). The maximum specific activity of a single carbon-14 label cannot exceed the theoretical value of 62.4 mCi/mmol. This physical quantity is useful for tracing the radiochemical purity of the intermediates throughout the carbon-14 radiolabelling process. Working with radiolabelled compounds imposes specific constraints regarding the availability and transport of materials, handling (methods, quantities), exposure limits, tracking and reconciliation of activity, and waste disposal, presenting many challenges beyond those found in conventional chemical synthesis. The primary legislation covering the handling of radioactive substances in the UK used to be the Ionising Radiations Regulations 1999 (IRR99). These were, however, replaced by the Ionising Radiations Regulations 2017 (IRR17) on 1 January 2018. Almac has also derived local rules and guidelines from the legislation for the day-to-day handling of radioactivity. As alluded to above, one of the more significant challenges is the design of an alternative synthetic route to the radiolabelled API. In particular, we have to be mindful to choose the most cost-effective synthetic strategy. This is usually performed in conjunction with the client and is directed by a number of factors — primarily the availability of suitable starting materials to allow the incorporation of the label — in a metabolically stable position at the latest possible stage. The advantage of working with stable labels is that there are no associated radiation issues and isotopic enrichments are usually greater than 98%. 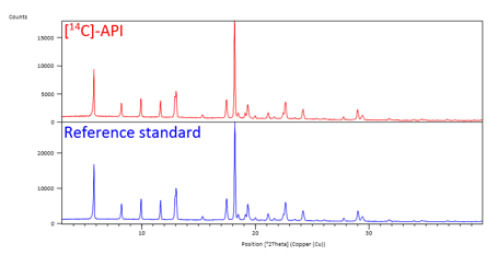 The high sensitivity of detection is ensured through state-of-the-art mass spectrometry, whereas multiple labelling can deliver complete mass resolution from an unlabelled analogue. The significant advantage of labelling with carbon-14 is its ability to be incorporated into the API’s carbon framework without altering its chemical structure. This approach generates an identical copy of the unlabelled API and reduces the risk of the carbon-14 label being scrambled (compared with labelling with tritium, for example). Almac’s wide range of capabilities, available on one site, enables the integration of isotope chemistry with other in-house technologies. 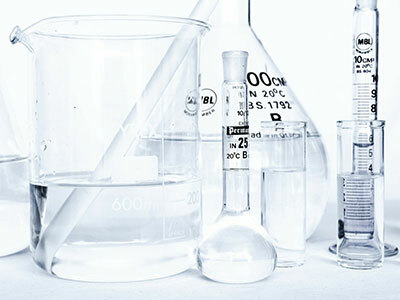 The aim is to drive fit-for-purpose solutions that go beyond the traditional methodologies of chemical synthesis. Integration gives Almac new and attractive synthesis options to achieve shorter routes to the client’s labelled API. Furthermore, integration guarantees best-in-class solutions to the many problems that face isotope chemists. Examples include producing isotopically labelled peptides and small molecules for bioconjugation or utilising biotransformations and fermentation processes in the manufacture of API. Occasionally, the isotope chemistry group has been tasked with the synthesis of a labelled API possessing sensitive functional groups, making modification of the labelled functionality more difficult. 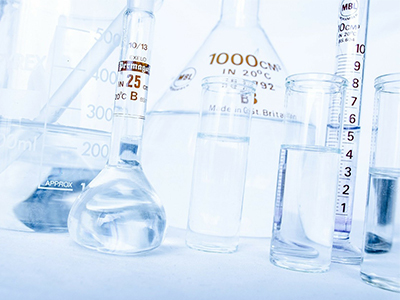 In a recent project, conventional syntheses failed to give a required intermediate with an acceptable radiochemical purity. A rapid screen of nitrilase enzymes by our Biocatalysis team identified a suitable candidate to enable the requisite transformation. The selected enzyme was able to be used under neutral conditions, thereby preventing hydrolysis of the other sensitive moieties. 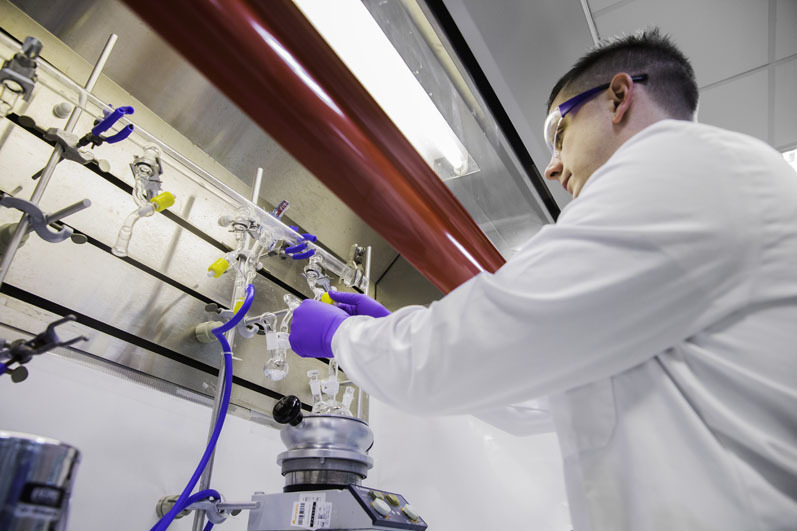 Lipase enzymes have also been used at Almac to manufacture two carbon-14 labelled versions of an API, facilitating a more straightforward work-up. The lipases are a subset of the esterase enzyme class used to split acids from esters. They can be used in the stereoselective resolution of racemic esters and can also be used to discriminate between two ester functionalities. No cofactor is required for these enzymes. The potential use of transaminases (TAms) in radiolabelling syntheses could also be advantageous, such as in the synthesis of chiral amines from prochiral ketones. We are fortunate that Almac has a wide selection of (R)-selective and (S)-selective ω-TAms and is heavily involved in the discovery and design of novel TAms. The carbonyl reductases known as CREDs are useful in the reduction of prochiral ketones to obtain chiral alcohols with high optical purity. These enzymes accept a broad range of substrates. At Almac, we have a large pool exceeding 300 CREDS available to our clients. An interesting example of their use is the introduction of a stable label into a chiral substrate. This involved incorporation of deuterium into an API via the reduction of the carbonyl with deuteride to afford the isotopically labelled alcohol in a stable position. The substrate, D-glucose-1-d1, was the source of the deuterium label in the synthesis. Finally, the use of P-450 mono-oxygenases has also proven to be very useful. For example, a uniformly carbon-13 labelled API was easily converted into its hydroxylated metabolite. The primary source of carbon-14 to generate labelled materials is barium [14C]-carbonate. [14C]-Carbon dioxide is liberated from the labelled barium carbonate using concentrated sulphuric acid and is then reacted to generate a variety of aromatic and aliphatic carbon-14 building blocks. Reactions with [14C]-carbon dioxide, or any other radiolabelled volatile substance (such as [14C]-bromobenzene), are done in a closed system under reduced pressure (glass manifold system). Particular hazards of this method are a joint “popping out” if an adequate vacuum is not maintained and loss of volatile materials when the system is opened at the end of a reaction. After carefully assembling the glassware and a thorough leak test, the reagents are charged to the set-up. Any necessary processes in the reaction flask — generating an anion by adding a base to an aromatic halide, for example — are done under nitrogen before introducing or generating any volatile radioactive material. When the reagents are ready for the addition of the radioactive material, all the solutions are frozen using cold baths of liquid nitrogen or acetone/dry ice, as necessary. The apparatus is evacuated and closed off from the vacuum pump. [14C]-Carbon dioxide is generated by the slow addition of barium [14C]-carbonate to concentrated sulphuric acid and then transferred to the cooled reaction flask. (Other volatile radioactive starting materials are supplied in sealed ampoules. Lifting the metal bar with a magnet and dropping it onto the weak point should break the ampoule.) After all the radioactive material has been transferred to the reaction vessel, the contents are allowed to warm to the appropriate reaction temperature and held there for the required time. In some cases, an excess of volatile radioactive reagent, such as [14C]-Melphalan, must be used in the reaction. When the reaction is complete, the mixture must be refrozen so that any volatile radioactive material is immobilised. After flushing the system with nitrogen, a vessel is added to the manifold containing a suitable solvent, such as dimethylformamide (DMF), which is also frozen. The apparatus is evacuated and sealed, and the reaction vessel is then allowed to warm up, resulting in vacuum transfer of the excess volatile reagent to the vessel containing solvent. After refreezing all the solutions, the vacuum is then released and a flow of nitrogen through the apparatus, venting through appropriate traps, is established. The system is now open. The reaction solutions are warmed to the appropriate temperature and then quenched by adding the appropriate reagent(s). Work-up then continues as normal. The primary reactions done under these conditions are hydrogenations (volatile species may be generated or known to be present). The particular hazards of this method are “popping out” of a joint or the bursting disc being blown owing to a pressure build-up. a stainless steel, Parr reactor vessel to operate at greater than atmospheric pressure. After thoroughly checking the apparatus and set-up, the system is leak tested with nitrogen to ensure it will hold the required pressure. The apparatus is then charged with the necessary starting materials, pressurised with nitrogen and vented several times to remove air. The vessel is then pressurised with hydrogen and monitored — carefully — for leaks. After an appropriate time spent stirring at the required temperature, the reaction can be monitored or worked-up. In either situation, the procedure is the same: precautionary traps are fitted to the exhaust vent for pressure releases before the system is opened. Nitrogen is then introduced into the apparatus, venting through the traps. Control of physical form is a major issue in the development of any new chemical entity. Solid APIs may exist in more than one polymorph, with serious implications for their physical behaviour. This can be an issue with the production of radiolabelled IMPs. In the case of powder-in-capsule (PIC) production when the radiolabelled API is typically hand weighed into a suitable capsule, without the addition of any excipients, it is conceivable that the radiolabelled drug substance could have a different polymorphic form to the bulk (unlabelled) API, owing to differences in the route and synthetic scale. To avoid this problem, it is necessary to determine the polymorphic form using X-ray powder diffraction (XRPD). 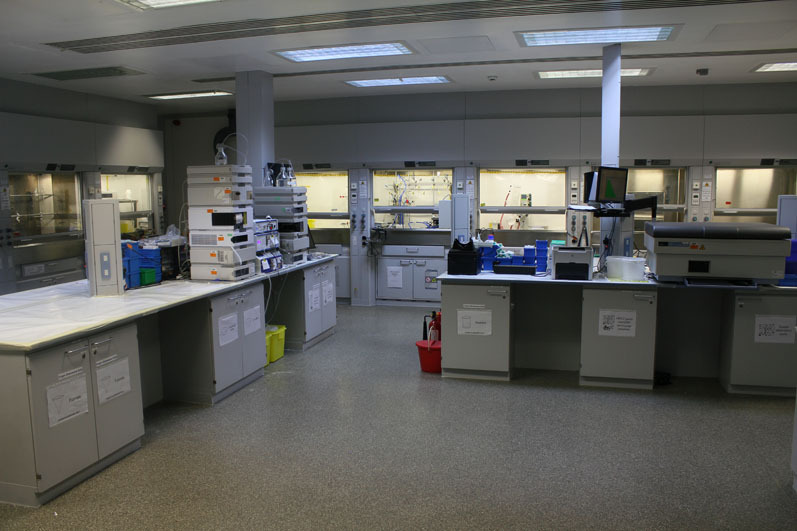 This technique is only available in a limited number of service companies, but Almac Isotope Chemistry is in the happy position of having this facility available on-site through the Physical Sciences team. The Physical Sciences team has a great deal of expertise in the control of polymorphic form through the development of optimum crystallisation methods. An example project involved confirmation, via XRPD analysis, that the [14C]-API was obtained with the same polymorph as the unlabelled API. XRPD traces of both the [14C]-labelled and unlabelled API were overlaid and found to be identical, thus confirming that the correct polymorph had been obtained from the labelled synthesis (Figure 2). After formulation into the drug product, the material was shipped to the customer. Presenting a radiolabelled API in a form that’s ready for use in the clinic adds another layer of manufacturing complexity, along with different analytical needs and higher quality requirements. 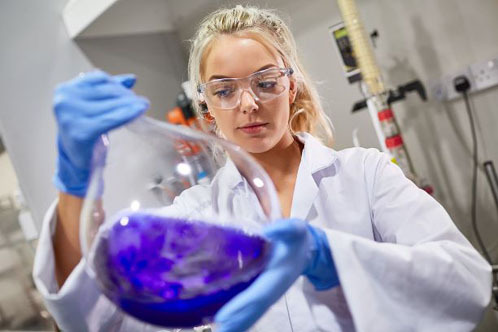 Formulations for ADME studies are typically very simple (powder in bottle, for example); however, we are also able to do polymorph/particle size control and testing, blending with excipients and encapsulation in our MHRA-approved facility. A dedicated team of radio analysts performs most of the testing within our facility, with just a few of the more specialised tests (NMR, XRPD) being done elsewhere on site under close supervision. 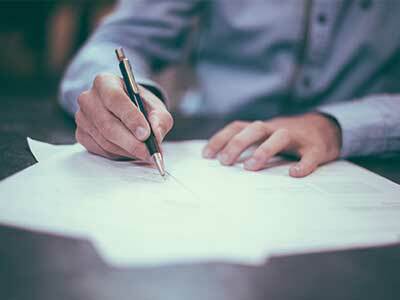 We work closely with our QA department to ensure that we’re compliant with the evolving GMP regulations in different jurisdictions; they also oversee the release of our products, including QP approval for IMPs.